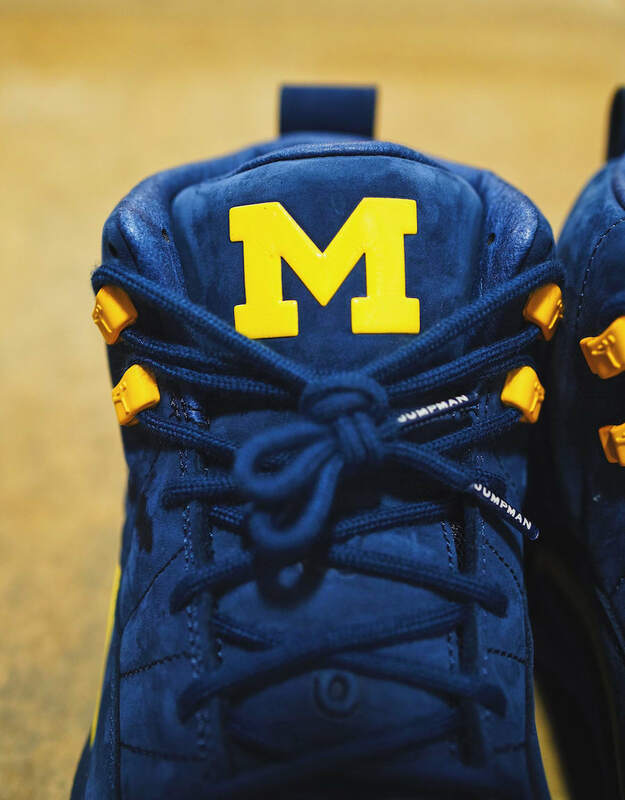 While we’ve seen the PSNY x Air Jordan 12 “Michigan” and another Air Jordan 12 “Michigan” PE, Jordan Brand has finally decided to release a retail version of a “Michigan” Air Jordan 12. Dressed in the Michigan colors of College Navy and Amarillo. This Air Jordan 12 looks a lot like the “PSNY” pair, but with any “PSNY” branding. 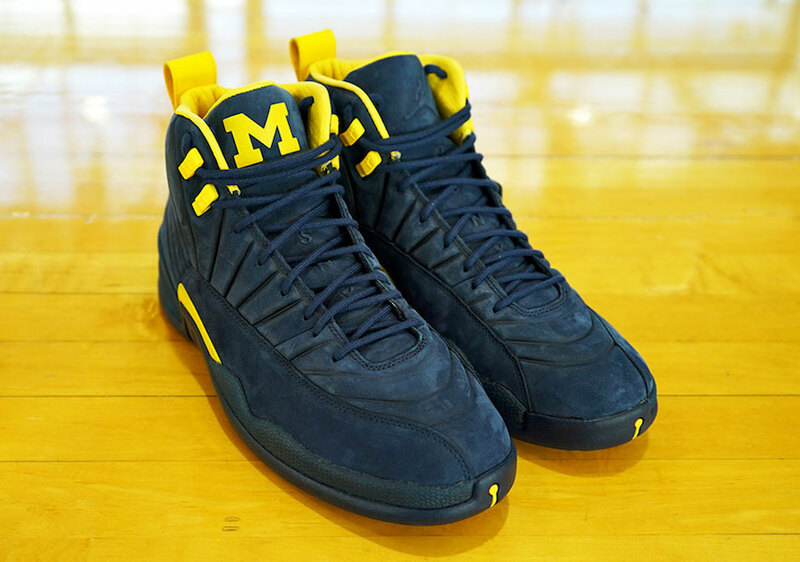 Highlighted with Michigan block “M” logo on the tongues and branded lace tips. 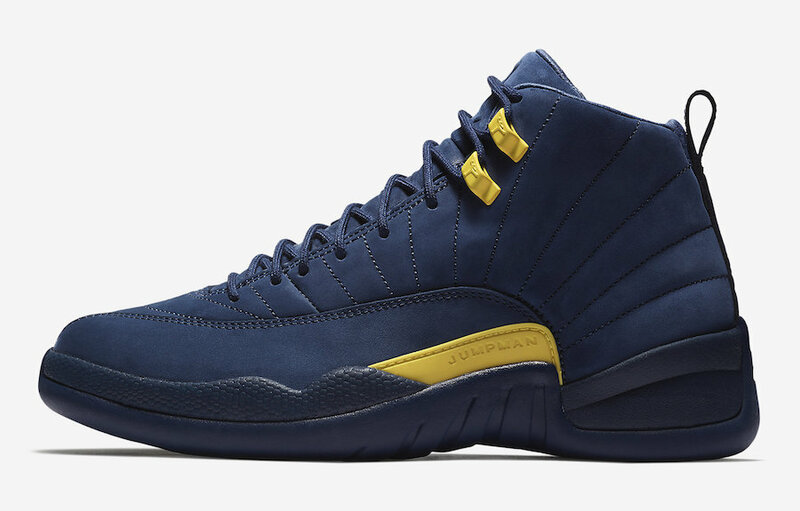 Look for the Air Jordan 12 “Michigan” to release on June 23rd at select Jordan Brand retailers. The retail price tag is set at $225 USD. 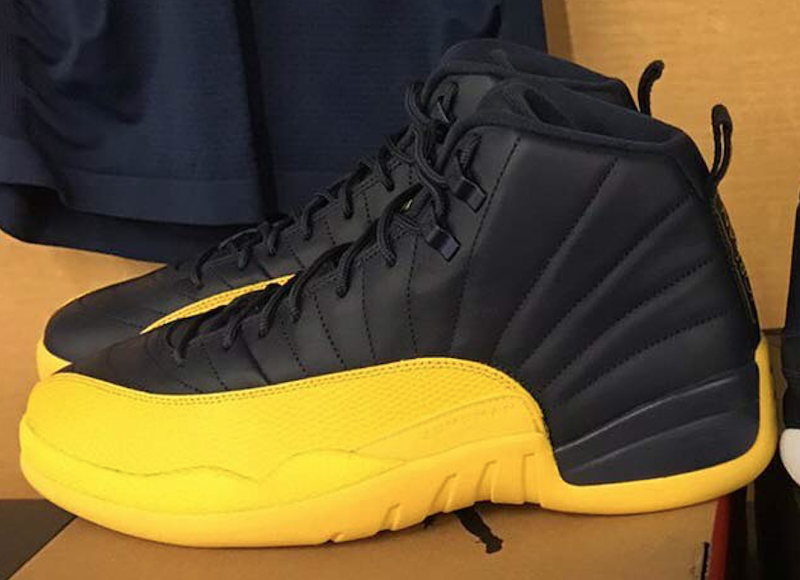 UPDATE: Nike releases official photos of the “Michigan” Air Jordan 12. 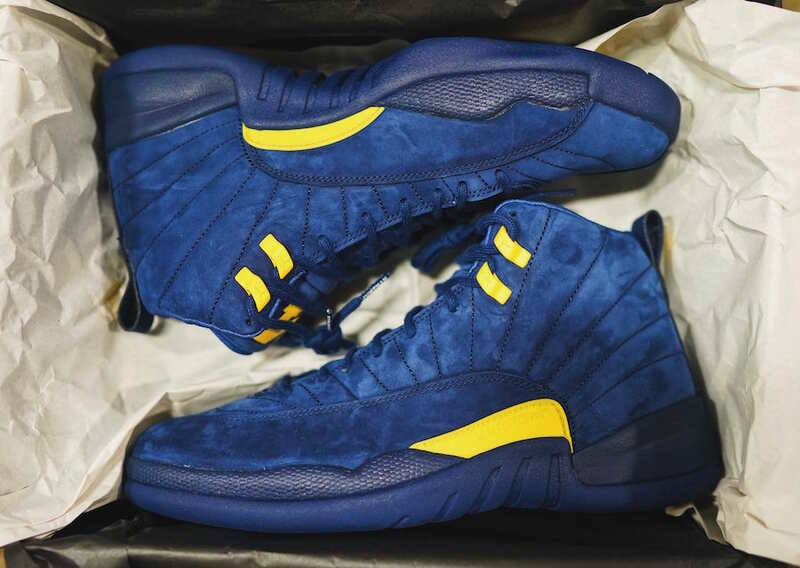 UPDATE: Finish Line provides retail photos of the “Michigan” Air Jordan 12 Retro RTR. 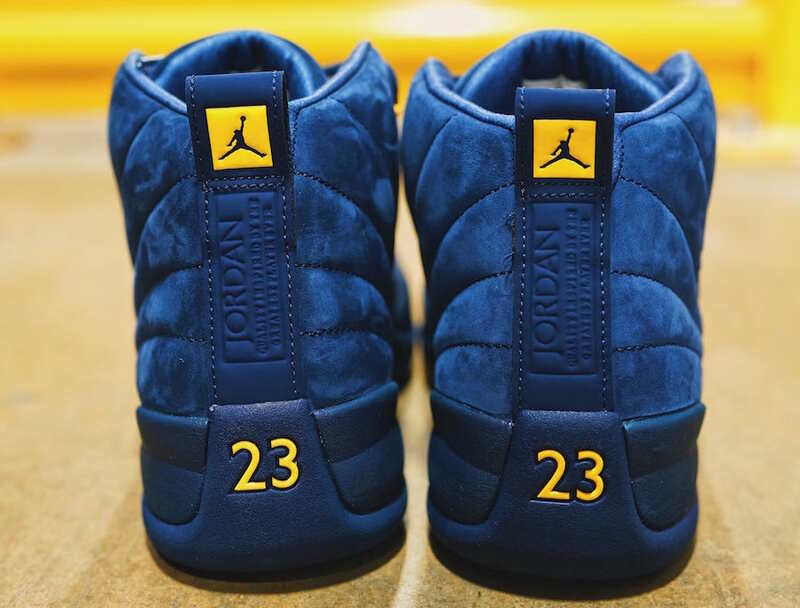 UPDATE: Here is the first look at the “Michigan” Air Jordan 12 that will come without any “PSNY” branding for those that may have been confused. Photos: Finish Line. 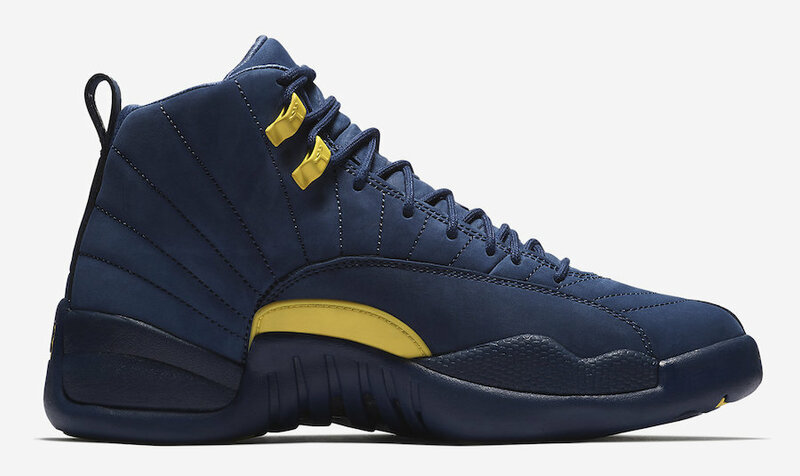 UPDATE (4/12): After news of an April 28th release, the “Michigan” Air Jordan 12s appear to be back on schedule for a June debut. According to Hibbett Sports, a release date is set for June 23rd. Stay tuned for official details and photos. Previous articleBig Sean Possibly Spotted in His PUMA Signature Shoe?